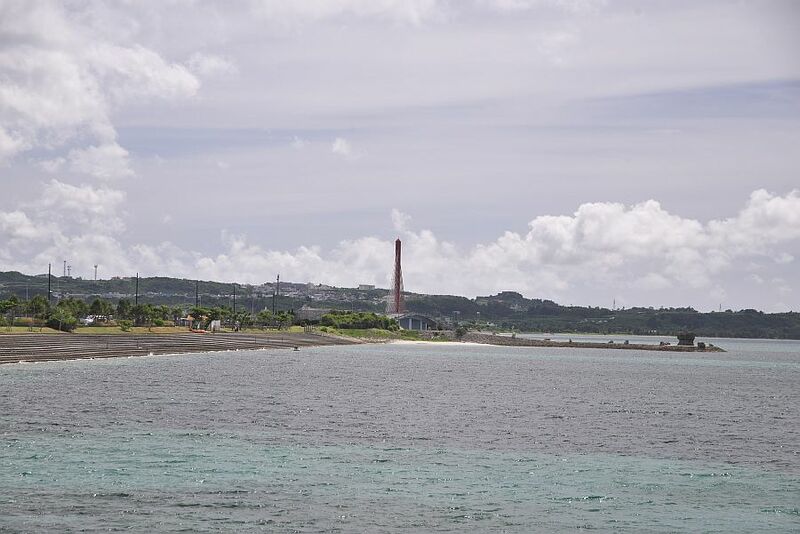 Ever wonder which tourist spot is the best in Uruma City? 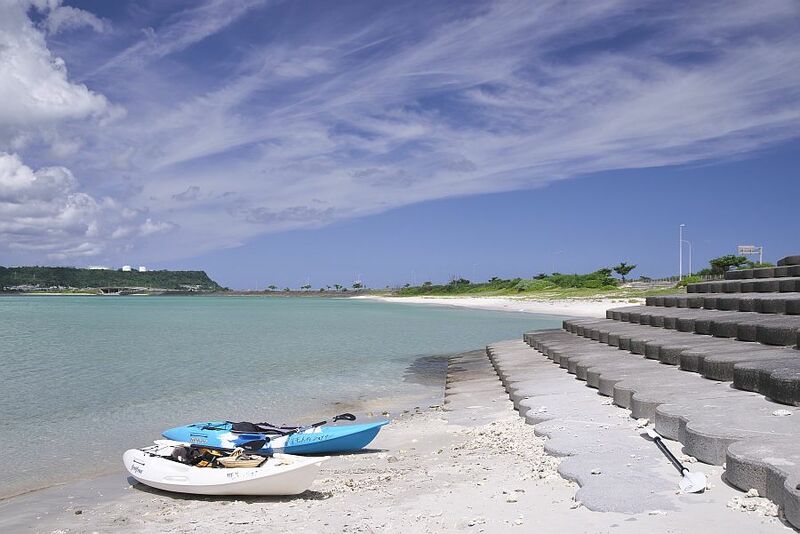 There is this long, narrow beach with white sand located around the Sea Road. making it the perfect place for water sports. 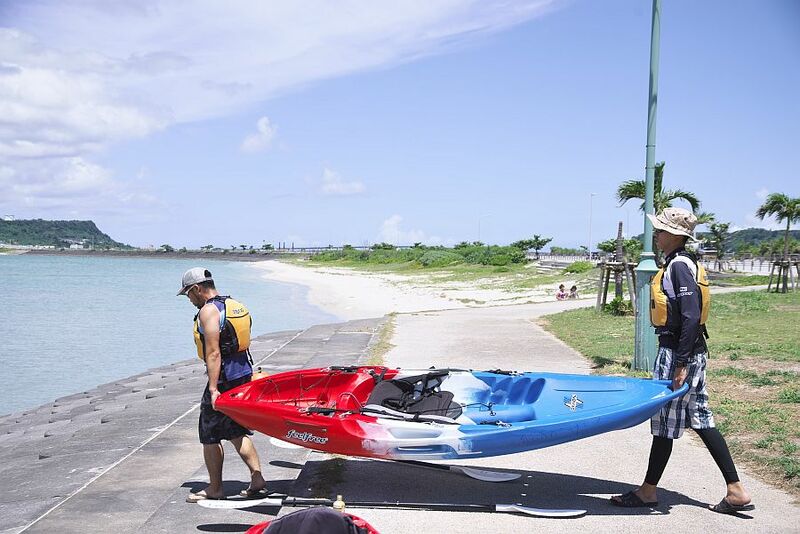 I tried what is said to be easy even for beginners: Sea Kayak. 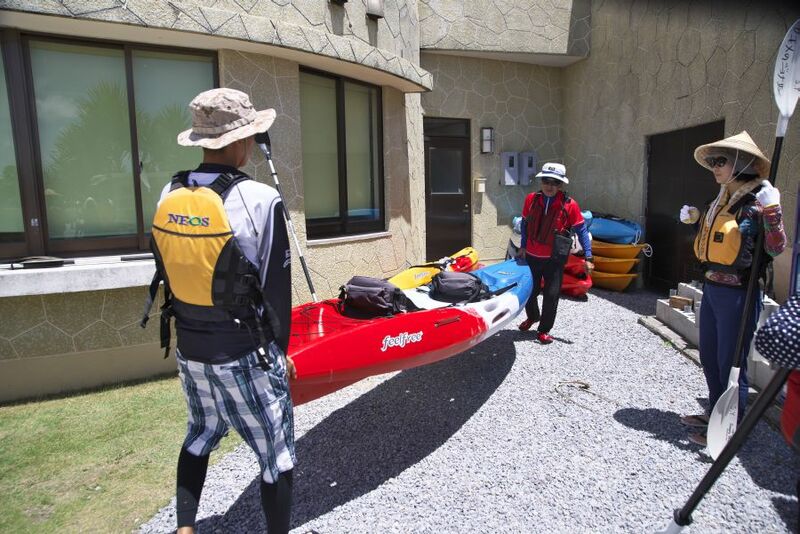 participants have to go to Uruma Tourism Organisation Office in the middle of the Sea Road and check in. a hat and a pair of sunglasses. Also, prepare drinks in order not to get a heatstroke. 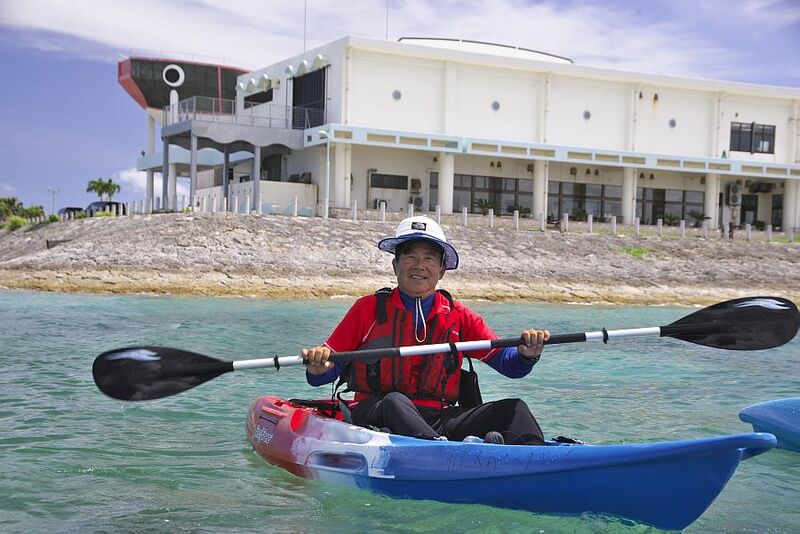 The Sea Kayak instructor Kinya Tamaki is a veteran. but also around the world like Canada and Hawaii. 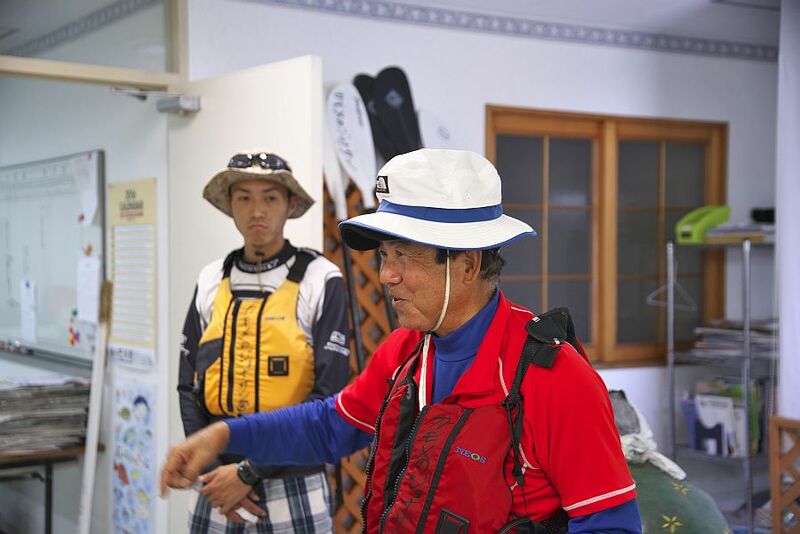 After wearing the life jacket properly, Mr Tamaki began instructing us. 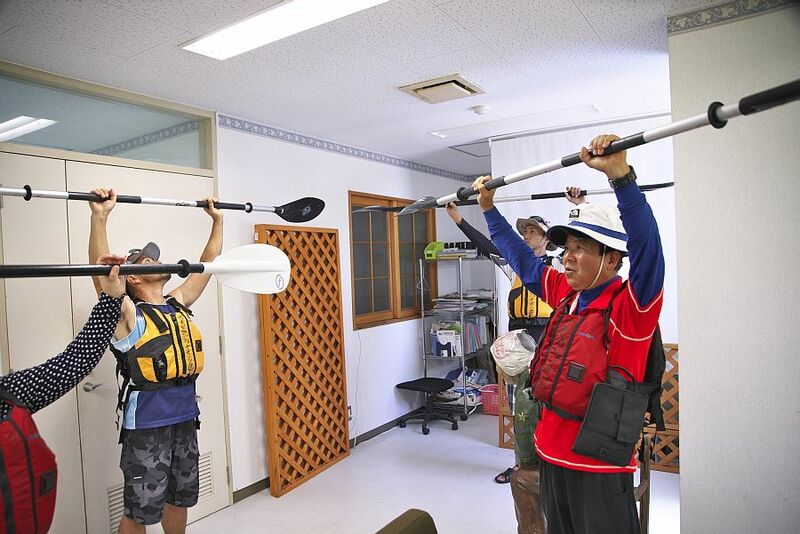 From the way of holding the peda rowing, to safety measures, he explained everything. 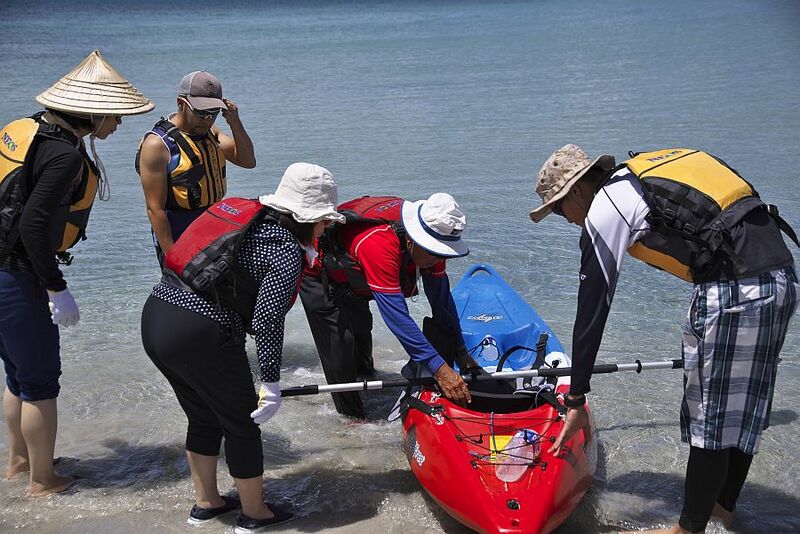 After that, the Sea Kayak began. even if you can play it on your own or with another person. 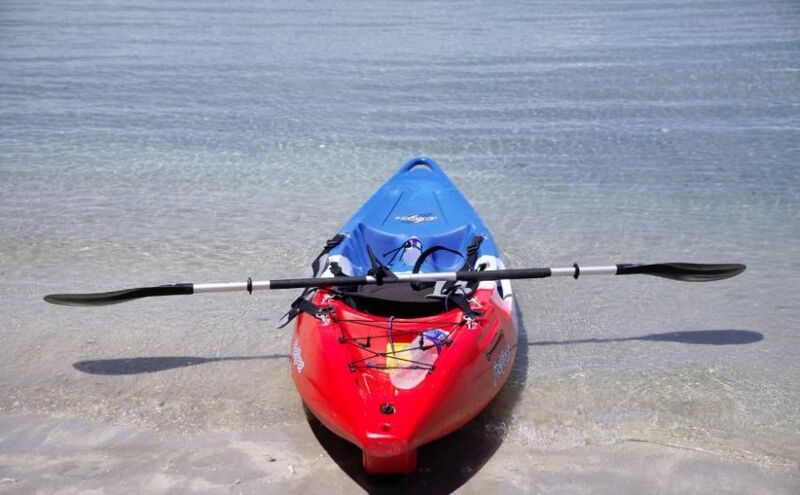 how to build a Kayak on your own. Now it’s time to go to the sea! we practiced while watching Mr Tamaki’s movements. Gradually, my body started to figure out how it works. Use your strong hand pull the water back, while using your weak hand to push forward. 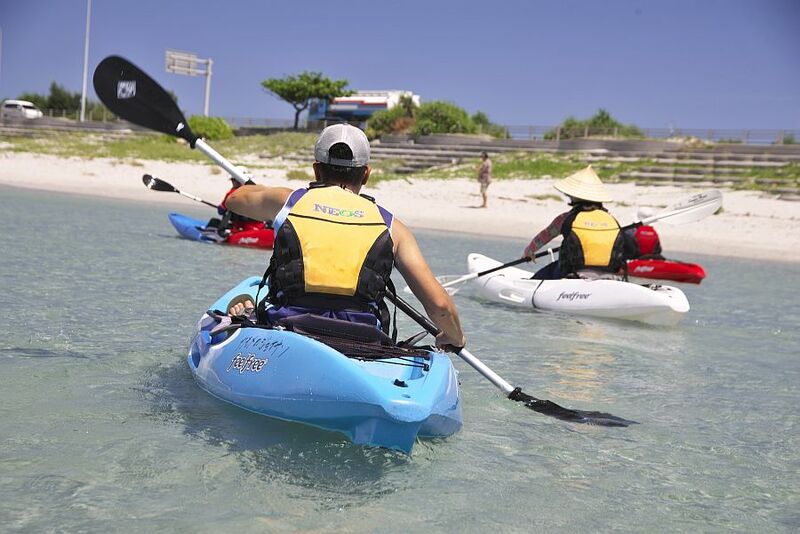 you can go everywhere along the white beach! Let’s go everyone. 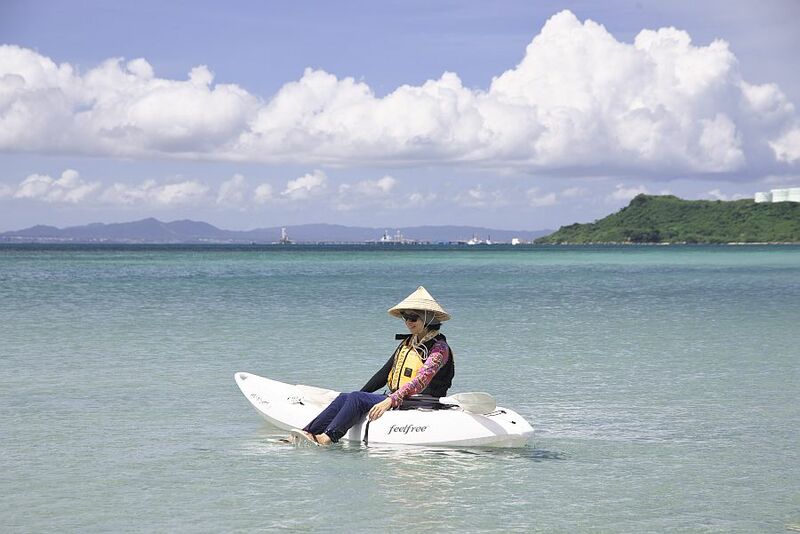 Under the bright summer sky, while being pressed against the sea breeze, row it lightly. A comfortable wind hits the cheek, so refreshing! 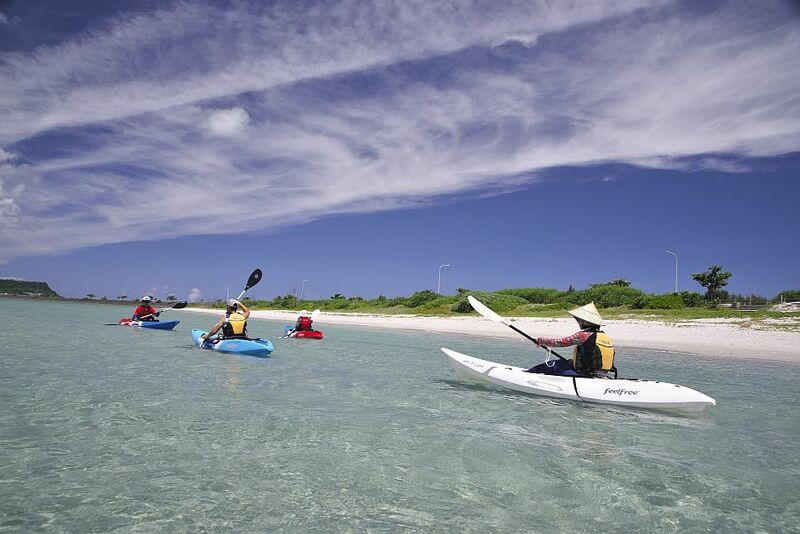 It is a perfect day for kayaking. The sunlight shimmers the quietly swaying water surface. Of course, the water is perfectly transparent too! 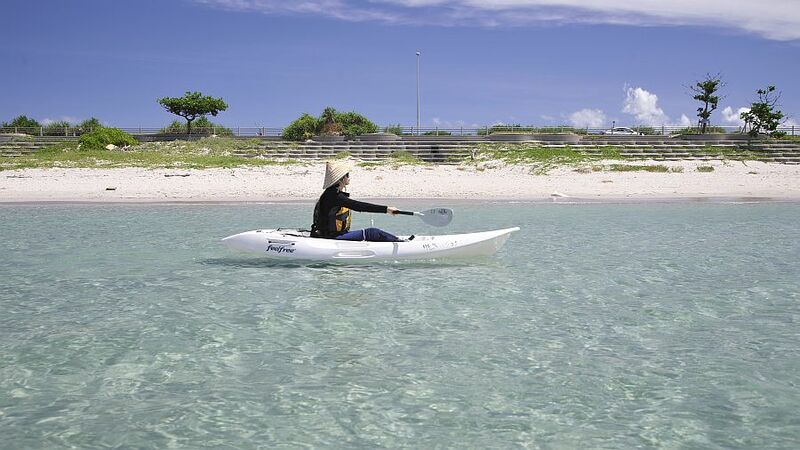 I started to look at the beautiful scenary of the surrounding islands and have my feet inside the warm water. Time never felt more relaxing than this. Next, we sailed to the building called Sea Train Station: Ayahashi Stadium. There the water became deeper and the color became deeper too. The wind has gotten stronger, so suddenly I had to pedal stronger accordingly. 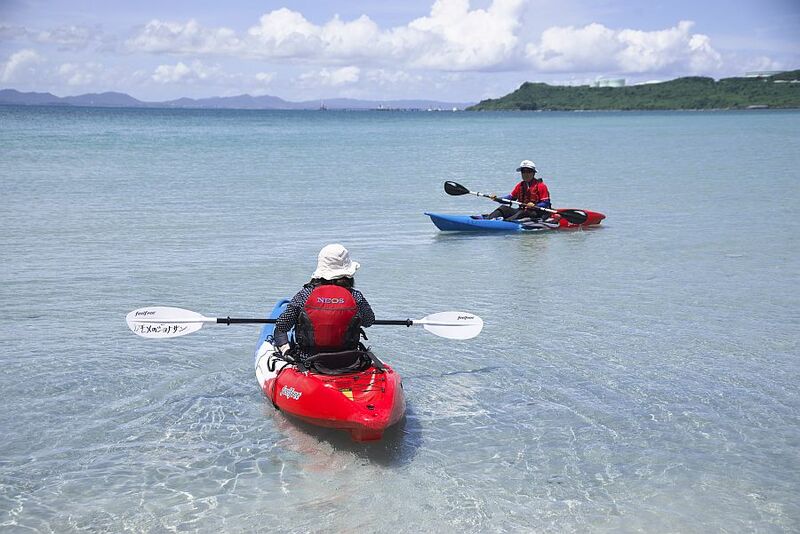 it is Kayak’s specialty to look from above the sea. “Even if I have been to everywhere in world, I still think Uruma’s is the best. ” said Mr Tamaki. He has been familiar with the sea since young as his father used to be a fisherman too. He can play any marine sports, like diving and surfing. “In the Sea Road, the direction of the wind is unusual in the middle of the road even on a windy day. you can look at the cliff from the side of the sea and it’s really touching. 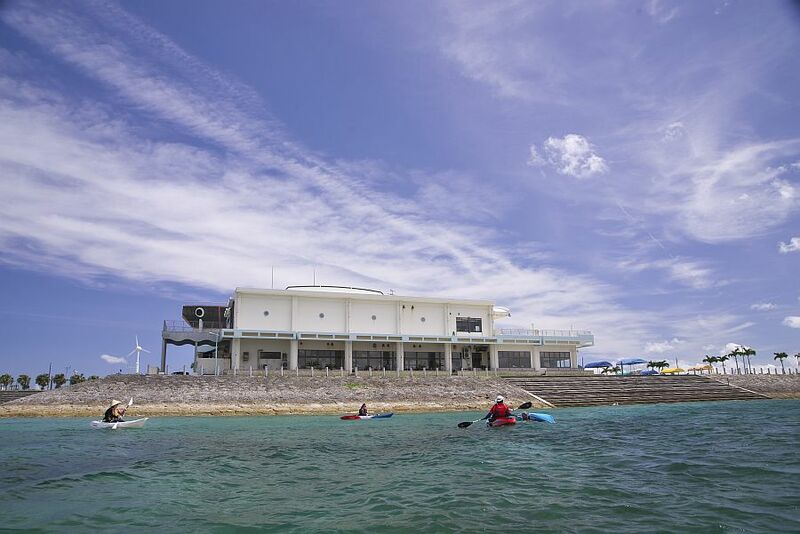 Please visit Uruma’s sea and have fun in this world-famous sea! ” said Mr Tamaki, who strongly recommended the place. you start to realise how huge the islands are, and it really feels as if you are being hugged by the nature. 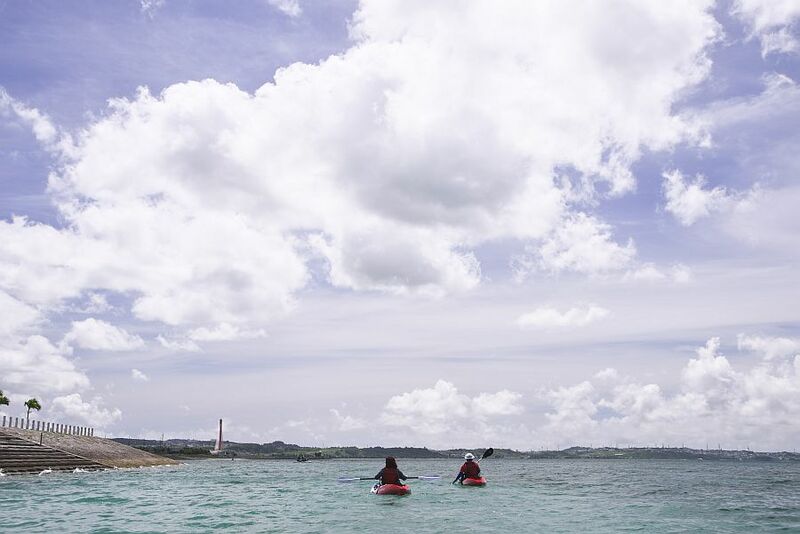 In this sky-blue sea with no boundaries, wouldn’t you want to take an adventure here as well? 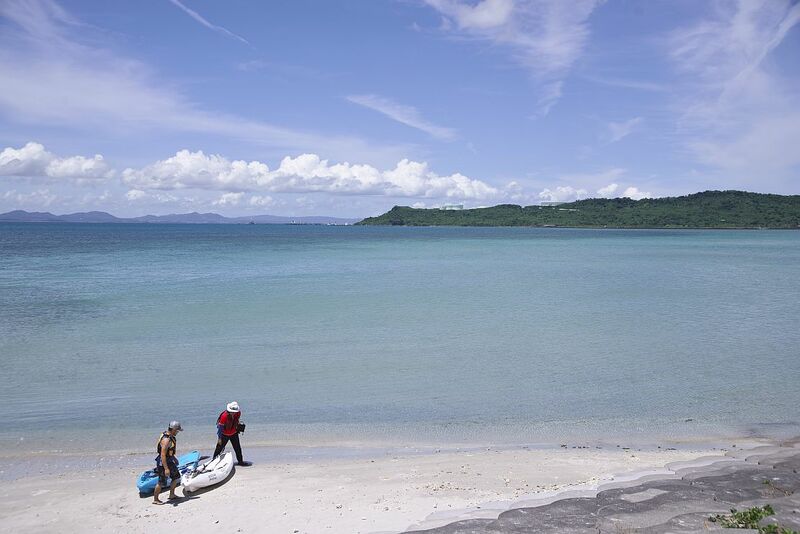 ※There are two courses: Sea Road course and Hamahiga Island course. Fees vary depending on the course.